Your creativity has really shot off the charts Jessie. Thank you for your art. So unique. geez man.. the paint.. the colors, all the directions of the strokes.. and it's perfect! 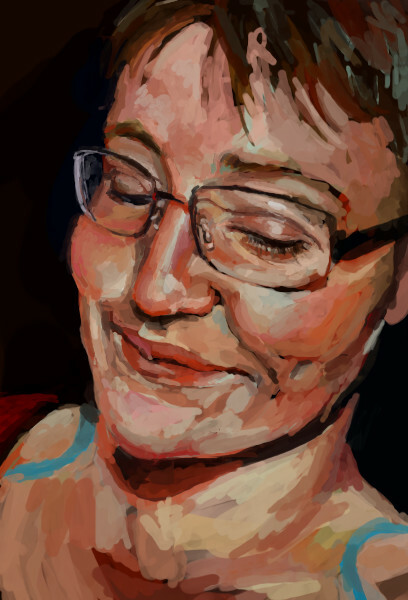 I always find it so exciting when people are able to make digital work look like 'real' paintings. What a great style. I've not seen you work this way before, but then, I haven't seen anything from you for a long time. What a treat. LOVE the expression you captured. Congrats on the Showcase. Well-deserved. Enjoy the style you used with this drawing, very artsy..really nice. congrats on the showcase too! It seems like nearly everything she does goes into showcase, but I cant really argue against it because she's pretty ace.